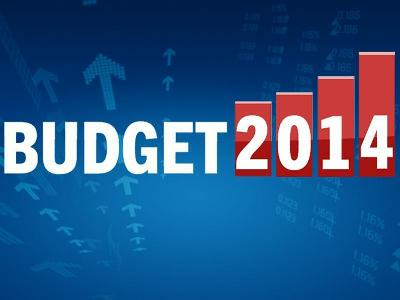 India Inc on Wednesday welcomed the new government's maiden Budget-exercise as practical and positve. India Inc on Wednesday welcomed the new government's maiden Budget-exercise as practical and positve. This budget will induce growth and overall development of the economy in the country, feels business community. Commenting on the budget, PM Narendra Modi, said, the general budget as a sanjeevani to the moribund economy, It will convert hopes and aspirations of the people into trust, and is in line with the government's endeavour to bring India out of crisis.This budget is a new ray of hope for the poor and downtrodden sections of society,"
The overall budget exudes growth and development of the economy in the country. The steps taken by the Government will accelerate overall growth of all the industries across India. Change in FDI guidelines will help to get finance in small projects as well and affordable housing will get boost as there is no minimum requirement of built up area and capital investment. Clarity on tax treatment and promotion of real estate investment trust will open up new source of capital/investment for crunched real estate thereby filliping the growth of the so called slowed down sector. Allocation of funds to national housing bank will also help to boost real estate sector in the country for low cost housing. Development of 100 smart cities and industrial smart cities will provide potential to new developments and investments in the country giving a complete new trajectory to the sector as well as will reduce burden on over congested cities due to impending excessive urbanization. Implementation of GST will solve issue of multiple taxation in all sectors and will reduce cost and compliances. Large focus on infra projects such as allocation of funds for highways, policy for long term financing to infra projects by banks, expressways along with industrial corridors, setting of new airports etc will have tremendous impact on real estate development. Upward revision of 80C and interest in home loans will attract people to buy property. General income tax exemption from 2 lacs to 2.5 lacs and 2.5 lacs to 3 lacs for senior citizen will help generating more disposable income for the families and will help them in buying property. The maiden budget presented by BJP government has set a positive course for inclusive growth. Measures announced in education, manufacturing, skill development and tourism will provide the much needed boost to ailing economy and help create more job opportunities. Government aims to spur growth through integrated reforms such as project based infrastructure for rural development, incentives for infrastructure investment trusts, agriculture infrastructure funds etc. All these measures will lead to faster movement of goods thus providing a fillip to the FMCG industry. Also, increasing the personal income tax and investment limit under section 80 C will lead to more disposable income in the hands of middle class leading to higher spends in consumer products. The much awaited reform on GST comes as a fresh wave of announcement which will help in simplifying the entire tax structure, thereby reducing costs and help to generate revenues. There was no negative surprise element in the union budget on the corporate taxation policy. By maintaining a status quo on the same the FM has provided a major relief to India Inc. Overall the budget sends positive signals - 10,000 crores setup for small enterprises, tax holiday on power sector, investments in infrastructure, and also more tax savings will increase the take home money for people. The introduction of service tax on digital advertising, which will make marketing bit more expensive for e-commerce companies. The Budget seems to have made the right signals of intent on steps to revive the economy, but stopped short of meeting expectations on firm steps, and the anticipated “bitter pill” was missing. Reinforcing intent on GST helps, but the will to push this through over the next few months remains to be seen. Allocations to education, skill development and startups are good for the long term, so the focus seems to be in the right direction. The much awaited FDI in ecommerce was a no-show, so overall there does not seem to be much to affect the retail and ecommerce sectors, except for rationalization of excise duty in some segments, and some tax sops for middle class consumers. With only six weeks to his credit, the FM has done a good job by emphasising on the manufacturing, infrastructure, housing and solar energy sectors in a big way. While few initiatives have been proposed, there have been no big bang announcements. The FM’s decision to approve Goods & Services tax (GST) by year end and hope that he truly understands its importance to the retail sector. If adopted, the government could put together a common market by seaming together a host of taxes such as Excise, VAT and Octroi. The announcement to cut excise duty to 6% from 12% on footwear upto MRP of Rs 1000/- pair, is a welcome move for SME’s and will help provide them with a level playing field. This maiden budget by the new government had to be cautious due to the present state of the economy, especially the alarming fiscal deficit. The FM while being prudent, has displayed a positive vision in the long-term, by addressing the concerns of all core and crucial sectors like, infrastructure, banking, insurance, agriculture, education and housing among others. Where real estate is concerned, he has announced an initial Rs. 4000 crores towards the mission to incentivise the development of low cost housing in urban areas. There will be a marginal increase in property demand due to the higher tax deduction benefit on interest payment, which will prove a boon for existing home loans. The FM also proposed reducing minimum area for FDI, besides providing necessary incentives for REITs to cut pressure on existing bank lending rates. The proposed measures to encourage smart cities and slum development to be included in Corporate Social Responsibility, will have a far reaching impact if implemented judiciously.